Now that I'm on a more structured marathon plan, I've set aside Tuesdays for speedwork. I'm thankful for the company I had this week cranking out my 400s. Plus, who else is crazy enough to run up a bridge to get a sunrise picture after said speedwork? The sun is sadly rising later and later so my RunRises are waning. At least I live in a city where we do have some nice views near the water. Not quite the same as a spectacular sunrise, but not too shabby to see either. One of the best parts about running is looking around and taking notice of your surroundings. I am thankful that I was able to knock out my longer run this morning. It was still warm and humid, but at least I don't have to get up at 5 am on Saturday to try to avoid this fun forecast. What happened to the Polar Vortex? I'm thankful that I have just enough talent (I use that word very very loosely), or maybe false sense of talent, to take on some home decor projects. I try to be thrifty, and we've picked up many things on the side of the road that I've refinished (some still need to be tackled though). My office desk was a freebie spotted during a run. One new filing cabinet I scored for $30 bucks then repainted along with my old filing cabinet. 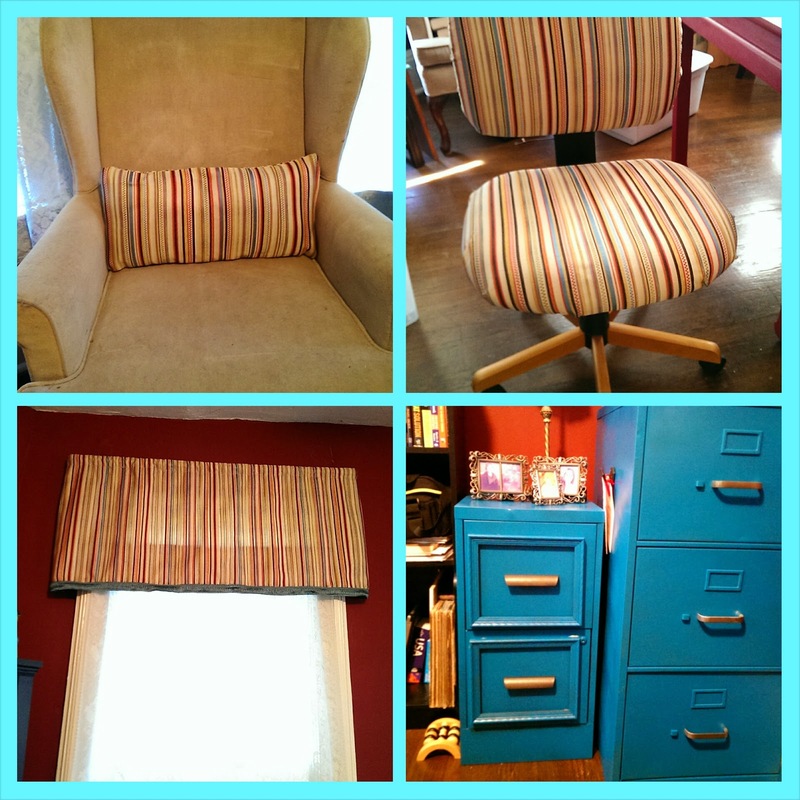 Rather than buying a new office chair, I recovered it and made new valances to tie together the colors in the room (walls were already burgundy, desk I painted burgundy then painted cabinets a teal color). I had enough fabric leftover to recover a pillow as well.